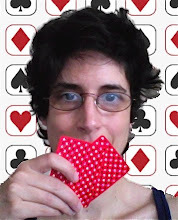 I know this will get your motor going, but you didn't even have top pair after the flop. I don't know when you went all in, but it looks like fred just out-lucked you on the river rather than much of a bad beat. It just doesn't seem as bad as losing with a flopped set. But, yes, I would have bet it, too. 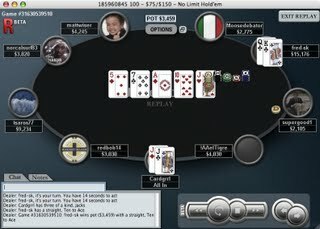 @Crash: 75/150 blinds, ~1700 chips from the BB, I'm guessing it went button raise -> BB reraise all-in -> reluctant button call. I can see where the frustration comes from. It's one thing when your OP hits a king in this situation, but when the board sets up a gutshot straight and then fills it in with one the set you don't want it can feel like fate is playing games with you. Well, it wasn't a bad beat was it? What it was was the most annoying way to get your JJ beat. No, it wasn't really a bad beat. 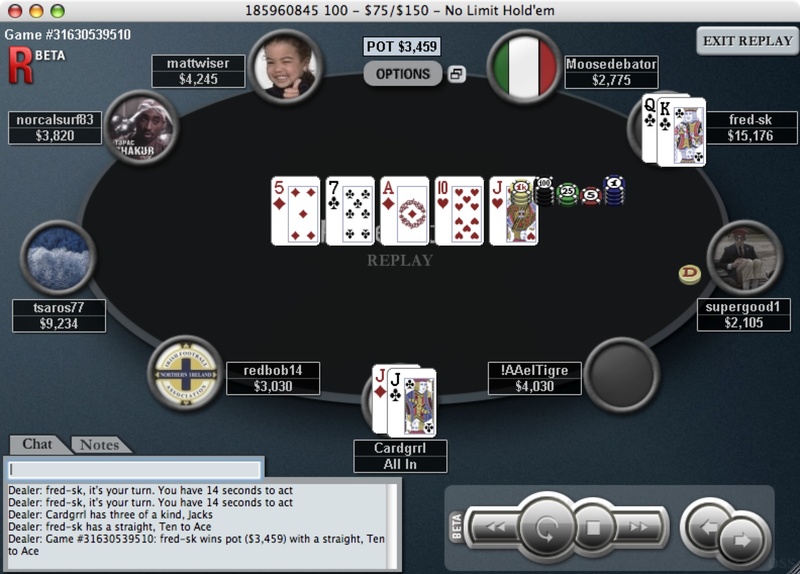 It was a coinflip pre-flop, when all the money went in (exactly as Shawn described), after the flop my opponent basically had 6 outs (~ 24%), and on the turn 8 outs (~ 16%). But it was about the 6th consecutive river knockout against serious odds that I'd run up against and I'm afraid I was... how shall I say?... a tad AGGRAVATED by it.